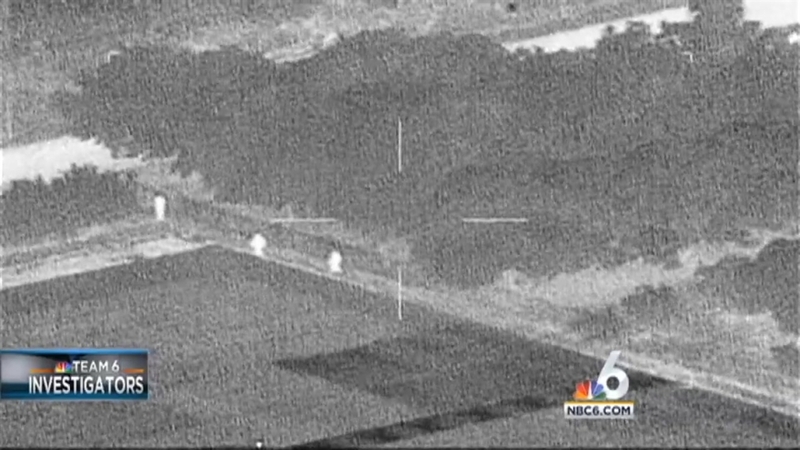 Miami-Dade County has never witnessed anything like it – infrared cameras rolling from aircraft during a muggy June night in 2011 as police killed four men, including their informant, in a botched sting operation in the Redland. Three years later, the office of Miami-Dade State Attorney Katherine Fernandez Rundle, finding “a number of unusual, counterintuitive, suspicious, and/or disturbing factors,” ruled it cannot say definitively that three of those police killings were justifiable. Yet, they determined, no charges can be filed against the officers. “Are there question marks? Of course there are question marks. There are too many question marks,” Fernandez Rundle said in an interview with the Team 6 Investigators. Questions like whether Betancourt uttered the code phrase “I’m heading to Disney World” – identifying him to police as the informant – in the seconds before he was shot to death. Betancourt had used that same code phrase three times earlier that day. But when his life was on the line, police claim that he was silent. Instead, one of the officers who shot him told investigators, he reached for a gun in his waistband, prompting police to open fire. “There’s a lot in there that just leaves big holes and big questions,” Fernandez Rundle said. Even though Betancourt, 39, cannot speak from the grave, an audio recorder hidden in a watch police gave him might have shed some light on what happened that night. But the watch Betancourt was wearing in surveillance video earlier that evening disappeared. “That would have been a critical piece of evidence,” said Jose Arrojo, chief assistant at the state attorney’s office. Arrojo and Don Horn, also a chief assistant state attorney, said the watch could have revealed whether or not Betancourt made any statements – including the “Disney World” code phrase – as he was surrendering to police. But prosecutors said, absent other evidence, they were bound to accept the statement of a live officer describing a scenario where the informant went silently to his death as he reached for a gun. Team 6 Investigators showed video of the shootings to Jeanne Baker, attorney and chair of the police practices committee for the American Civil Liberties Union Miami chapter. Baker believes there are enough discrepancies in this case to attempt a manslaughter prosecution. “There’s no rule of law that says that the prosecutors when evaluating a case are compelled to accept as truthful the testimony of the subject of the investigation,” Baker said. But John Rivera, president of the union representing Miami-Dade police officers, defended the state attorney’s decision not to prosecute. “Well, if there’s not enough evidence, then there’s not enough evidence,” Rivera said. Rivera said police face a battle on the streets of Miami-Dade every day. In the Redland case, prosecutors say the first shooting of Jorge Lemus, 39, as he held a handgun in the front of the house, was clearly justified. Prosecutors, however, are unsure about the others. But Horn could not ask the officer why he gave conflicting commands or any other question because officers would only speak to investigators if no prosecutor was present. The only people present were their union lawyers and fellow Miami-Dade police investigators. Of the 11 shooting officers, four – one from each killing scene – gave voluntary statements under those conditions. The other seven exercised their right to remain silent. The best documented shooting death is the last one involving ringleader Roger Gonzalez Sr., who dropped or discarded his gun as he was trying to flee the scene and was found cowering at the base of a tree. The officer seen on the video behind the tree with Gonzalez’s back to him said in his statement that Gonzalez, 52, made a quick move into his waistband, forcing him and the others to open fire. Prosecutors question whether the officer had as good a view of Gonzalez as he claimed. “Our repeated reviews of the video cause us to question whether (the) officer … was even in a position to see what he says he saw,” they wrote in a memo outlining why they declined to press charges. “We got no evidence to counter that,” Arrojo said. Prosecutors also said that misstatements and confusion are not evidence of a crime. For example, one officer said he saw a rifle, a report that was relayed by radio to his colleagues. Other officers later said they heard a single gunshot at the outset of the operation and, since no officer broadcast that he discharged a weapon, they assumed a would-be home invader had opened fire. But prosecutors are convinced neither the rifle nor the shot exist. “There was no long rifle and there was no shot,” Horn said. Miami-Dade County has agreed to pay $600,000 to settle wrongful death and civil rights claims filed by families of three of those killed. Survivors of the fourth, the informant Betancourt, continue to press their case in federal court.